It’s been 17 years since the Chicago Bears have drafted a playmaker at the safety position. 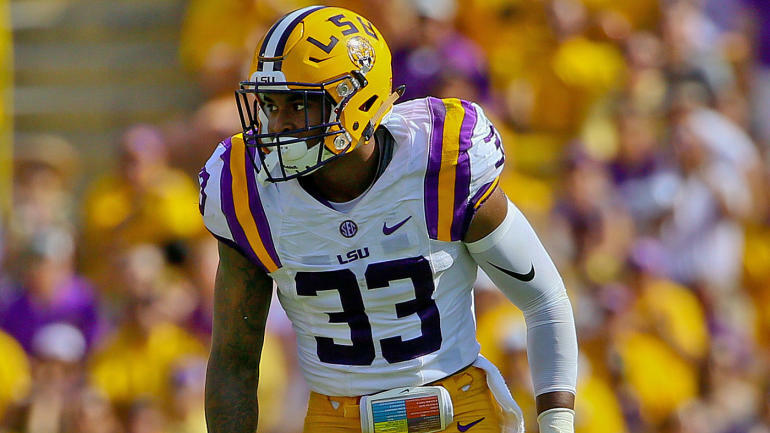 On April 27, that can all change, LSU safety Jamal Adams will go from the last line of the defense to one of the first names called in the 2017 NFL Draft and the Bears would be wise not to pass on him. The last impactful safety the Bears had on their roster was Mike Brown, who was drafted 39th in 2000. He is also the last safety for the Bears to make the Pro Bowl when he accomplished that in 2005. Since then, the Bears have drafted 14 safeties. Some of the forgettable names include Bobby Gray, Kevin Payne, Al Afalava and Brock Vereen. The Bears, year after year, have made it the norm by neglecting to add a key contributor at the position. Now, is the Bears’ chance to change that by drafting Adams, who would provide stability and consistency at the position that has seen the exact opposite for too long. Adams’ presence on the field will have opposing players weary on every play. He isn’t just a box-safety that will come down and de-cleat a ball carrier, he also has great hip movement and quickness. At 6-foot-1, 211-pounds he has the size to cover receivers and tight ends. Natural instincts on the field. High football IQ. Tough. And he leads by example,” Bowen wrote. “I see very little wasted movement with his footwork too. That shows up in his run reads. Quick downhill to close the distance to the ball carrier. Adams did just that running a 4.56 40-yard dash at the NFL Scouting Combine. He also finished second amongst safeties in the 20-yard shuffle in 4.13 seconds. His performance at the combine reflected what he accomplished in his junior season with the Tigers. Adams recorded 76 total tackles, 7.5 tackles for a loss, four passes defended, one forced fumble and an interception. He did some of his best work last season when he was near the line of scrimmage. There he allowed his instincts to find the best path to the ball carrier and finished most plays with a wrap-up tackle. Regardless of the direction of the offensive play, there was no way of avoiding Adams. Adams will be a coveted prospect in the upcoming draft but why should the Bears pick Adams over talented pass rushers like Jonathan Allen or Solomon Thomas? General manager Ryan Pace’s philosophy is to draft the best player available and with the No. 3 overall pick a talented pass rusher would be difficult to pass up. But when you look at this Bears roster; a pass rusher isn’t the greatest need. Yes, it would be an upgrade over Mitch Unrein but the defense still got to the quarterback last season. The Bears finished with 37 sacks, which was 12th in the league. On the other hand, the Bears eight interceptions last season landed them at No. 29 in the league. They also finished tied for dead last in turnover differential with minus 20. NFL offenses now utilize more three-and-four-wide receiver sets than ever before and nickel and dime package defenses are now the norm. After watching film on the first five Bears’ games last season, the defense had five or more defensive backs on the field about 70 percent of the time. The Bears cannot afford to wait any longer to finally end the mediocrity that has circled in and out of the safety position for close to two decades. If Adams is on the board there should be no reason the Bears pass on him.